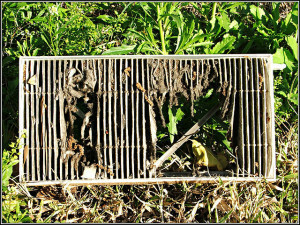 If your air filter looks like this, it’s definitely time for a change! If you’re like most car owners, changing the air filter isn’t something you think about constantly. Most people don’t think much about it until they’re getting a lube and an oil change and the technician tells them they recommend a new air filter. This recommendation is often accompanied by an explanation of how bad things can get if you don’t change the filter regularly. They may tell you your fuel economy will get worse with a dirty air filter (which isn’t usually true, except in the most dire circumstances), or that it can affect your vehicle’s acceleration rate (this is true). So the question is, how often do you really need to replace the air filter in your car or truck? The real answer is that it depends on several factors. You might be okay going 45,000 miles or you might need to change it every 10,000 miles. Different auto makers recommend varying time frames. Also, your driving conditions can also affect how often it needs to be changed. 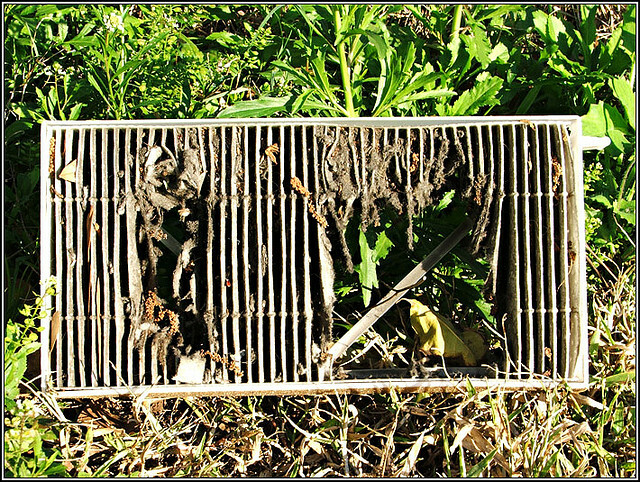 A good rule of thumb is that you should change your air filter at least once a year, but some drivers may be able to go longer and some may need to change it more frequently. If someone is telling you it’s time to change your air filter every time you go in for a lube, however, you aren’t getting an honest story. Here are some auto maintenance tips on knowing when to change your air filter. Remember that driving an old, unsafe vehicle can be dangerous for you or for those around you. Driving safely and maintaining your vehicle can help prolong your vehicle’s usefulness, but at some point every vehicle reaches the end of its life. If it’s time to get rid of an old clunker, contact Messy Motors for a free, no obligation quote on buying your vehicle. We pay cash for your vehicle in any condition, so you can get out of your old car and into a newer, safer vehicle.